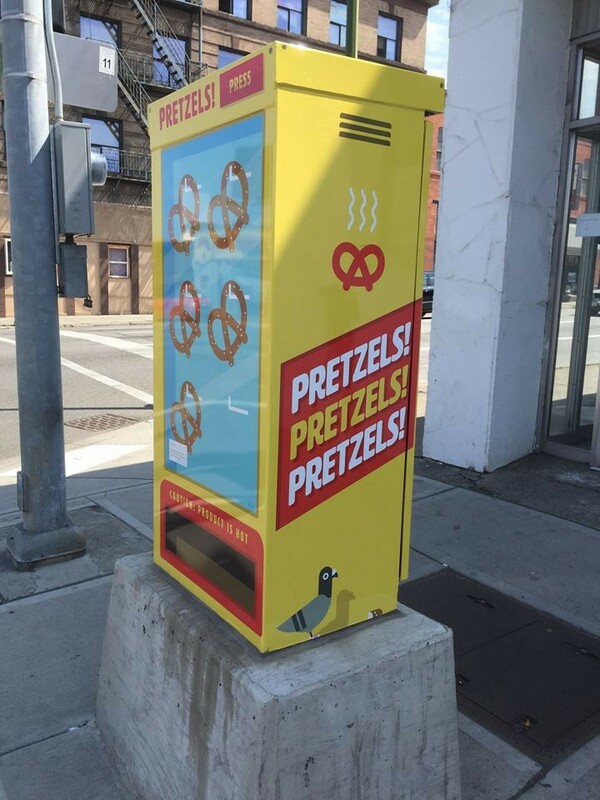 "Pretzels" by Jacob Greif is found at Second and Washington, kitty-corner from the Big Dipper. Spokane's downtown core is bursting with newer public art projects — the Mobile Murals project at Division and Third (Note: May is the final month for the project's current location), the downtown underpass murals, sidewalk storefront installations and new pieces at the convention center as part of the recently completed expansion. Add one more awesome new endeavor to the mix. 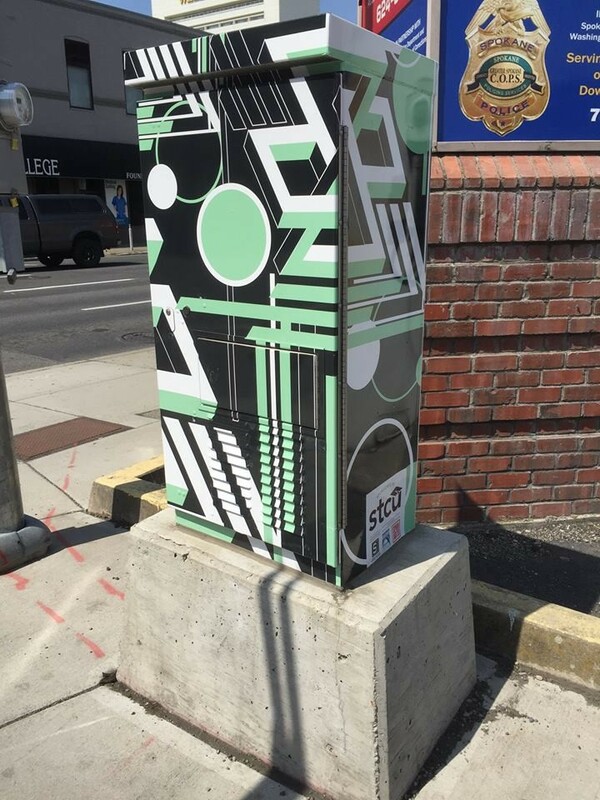 Earlier this year, Spokane Arts, in partnership with the City of Spokane, put out a call to the arts community looking for submissions to brighten up the nondescript, grey traffic signal boxes around downtown Spokane. Thirteen designs by twelve artists were selected to be printed on vinyl and recently were installed on the boxes by Standard Digital Print. Find all of the signal box art along Second Avenue, from Division to Maple Street. "Impossible Structures" by Ryann Engel is on a signal box at Second and Stevens.